Home Products Taurus Slow Cooker Digital Stainless Steel Brushed 6.5l 320W "Lento Cuina"
Taurus Slow Cooker Digital Stainless Steel Brushed 6.5l 320W "Lento Cuina"
Taurus presents the Digital Slow Cooker. The massive 6.5L capacity allows you family sized meals cooked to perfection. 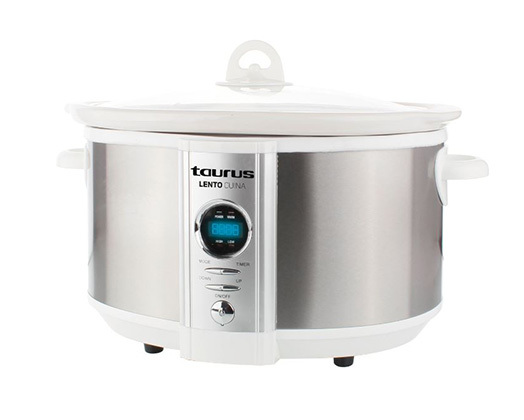 The Digital Slow Cooker from Taurus has a High/Low keep warm function and a digital control panel with 4 digit LED display. 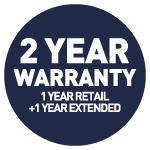 The durable stainless steel body has a programmable timer with a removable ceramic pot making cleaning easy as 1-2-3 and has a toughened glass lid. High / low / keep warm functions. Digital controls with 4 digit led display.